This month at Partech Water Instruments we’re talking about our turbidity sensors—fantastic to use as an environmental indicator. So how can they be used? We’re here to tell you about turbidity sensors being utilised for drinking water, effluent discharges and coagulant controlling. Turbidity sensors are an excellent way of analysing water quality and can be a great way of assessing processing issues. We recently wrote about the Lancashire cryptosporidium water crisis, which caused many families to resort to bottled water for weeks. Sometimes, with high intake levels, there can be filter and blockage issues that can increase turbidity, leading to a filter failure and possible cryptosporidium in the water. However, there are some great benefits of using turbidity as a control measure such as energy and dose savings. Dosing levels can be monitored and altered to suit the performance of the site, allowing a saving when turbidity is low. It also means that the site can react quickly to any potential changes and allow appropriate responses to take place in order to reduce water consumption. Not only is turbidity monitoring one of the key parameters for gauging the effluent quality with regards to discharge levels it’s also a great way of assessing the general performance of a treatment works. Increasing levels of turbidity is a warning sign that a sludge blanket breakthrough is occurring—whether that’s because of a failure in the treatment process or the result of an excessive flow, which produces poor settlement. Not only this, but it’s important to use turbidity sensors in applications where measurements are taken before treatments or discharge to sewers, in order to catch problems that could cause difficulties upstream or at the effluent treatment plant receiving the flow. Coagulant dosing control is an important issue in a wastewater treatment plant, as it has repercussions on both the site operating cost and the effectiveness of the treatment process. 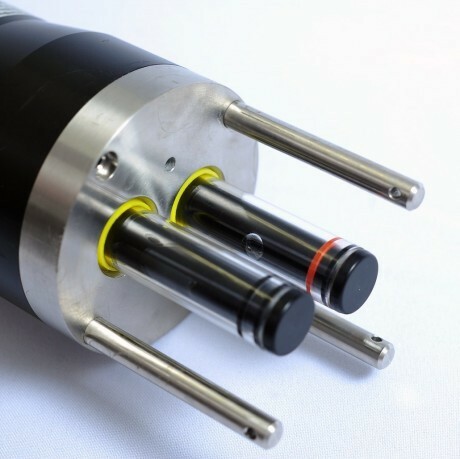 Turbidity sensors such as the TurbiTech Self Cleaning Sensor is fantastic at monitoring turbidity in crude and settled sewage as a control parameter for the addition of coagulant chemicals. Overdosing can have some dramatic effects and are highly toxic to aquatic life as they cause such low pH levels. Therefore a careful balance must be struck so that overdosing doesn’t occur and yet sufficient levels are in place to ensure effective treatment. If you’d like to find out more or require some specialist advice on our turbidity sensors, call one of our friendly team on 01726 879800.